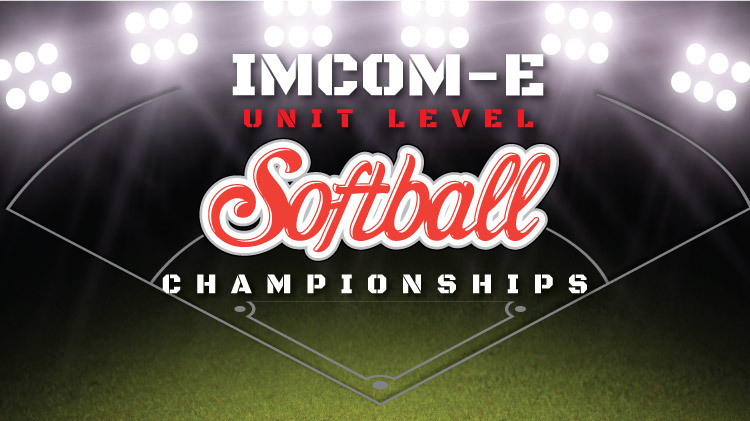 Date: Aug 10 2018, 9 a.m. - 4 p.m.
Come out and support the best teams throughout Europe in the IMCOM-E Unit Level Softball Championships right here in Kaiserslautern! Pets will not be allowed on the softball playing fields. No alcohol on the playing fields, in the Daenner Complex or the Dugout areas. No overnight camping is allowed in the Daenner sports complex. No grills in the Daenner sports complex. There is no entrance fee for spectators. August mandatory coaches meeting at 9 a.m. - 9:45 a.m.
ID card check at 0945-1000 and Opening Ceremonies at 10 a.m. - 11 a.m. at the KAD Field on Daenner. August 10 games will start at 11 a.m., August 11 and 12 will start at 8 a.m. at the KAD Field on Daenner. Awards Ceremony immediately to follow championship game. Each Garrison is authorized two teams if six or more teams participated in the 2018 Garrison Unit Level League.